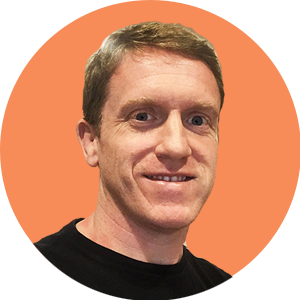 Dave McKillen, President | Basebuild Inc.
Dave McKillen, President Basebuild Inc.
Dave was born and raised in Ireland until he moved to the U.S. at the age 23. He has a bachelors degree in Science (Zoology and Molecular Genetics) from University College Dublin, Ireland and a Masters degree in Information Systems from the Business School at Virginia Commonwealth University. Dave worked at an Internet Service Provider in Dublin, Ireland before moving to Charleston, South Carolina where he worked for several different groups at the Medical University of South Carolina. Having spent some time applying the Web to biological problems, he worked for a series of software development and digital marketing groups where he has over time honed PHP developer, graphic designer, digital marketing and business management skill sets. In 2015 he started Basebuild, Inc. to try and focus more on the types of projects that meant something to him. Of any of the achievements Dave has made in his life, the one he feels has gotten him the furthest is that he is a bridge-builder. Meeting people and making real connections has gotten him to where he is today. He truly believes the old adage “It’s not what you know but who” is the backbone for a happy and healthy life/business/existence. Dave now lives and works from Salt Lake City, Utah with his wife and kids. He is a passionate soccer player and MMA enthusiast having competed in Judo growing up and at college level. Dave currently trains in Brazilian Jiu Jitsu at First BJJ, Utah’s premiere Carlson Gracie Jiu Jitsu center.